London College of Fashion BA (Hons) Fashion Illustration graduate. 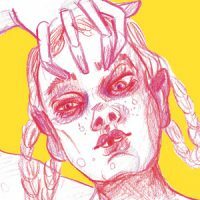 Artist, illustrator and animator based in London, specialising in the figure and fashion illustration as well as moving image. I love to use soft pastel, coloured pencil and charcoal in my work to create melancholy, colourful and dreamlike images.